Sail Responsibly A biocide-free, Silicon anti foul adhesive film. 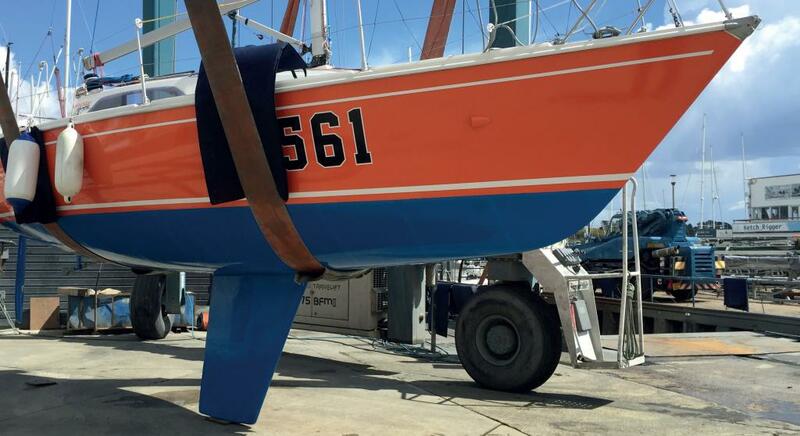 This alternative to current, biotoxic antifouling products (which may soon be banned) consists of a protective adhesive film for below the waterline, coated with silicone paint developed specifically with PPG, a world leading paint manufacturer. In other words, an ”underwater painted adhesive film”, a real technological advance. 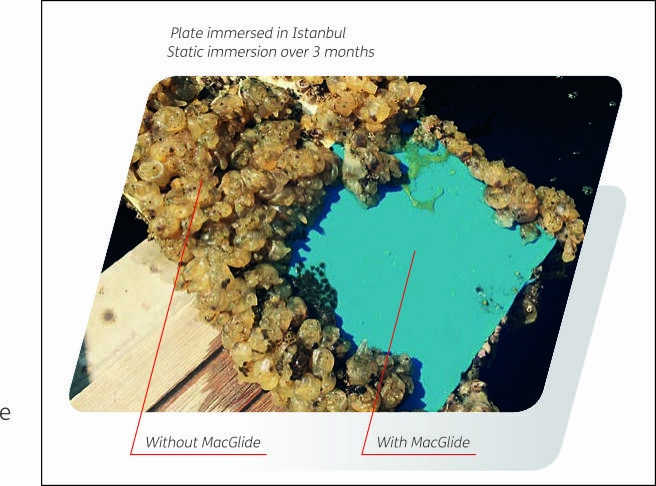 As an anti-adherent, silicone prevents the colonisation of the hull without spreading biocides and/or pesticides which contaminate the water. The preservation of marine life and indirectly, human health, naturally figure in the front row of its benefits, which has motivated its use on merchant or naval ships. Amongst its other sizeable advantages: self cleaning at critical speed, lowering of friction thus optimising fuel consumption. In addition, its durability is greater and saves money on refitting, thus increasing the operational profitability of the vessel. The product is not erodible in water and contains no biocide. It is also not hazardous to the professional who applies it. A simple sponge and a soft brush allow any biofilms to be removed before the hull is colonised. Heavier bits fall off under their own weight. The absence of a toxic active ingredient allows the operation to be performed without harmful consequences and so it can be done anywhere. The fouling comes off by itself when the boat sails often and with a speed of 7-8 knots. The product has low sensitivity to the biological variables of the marine environment. 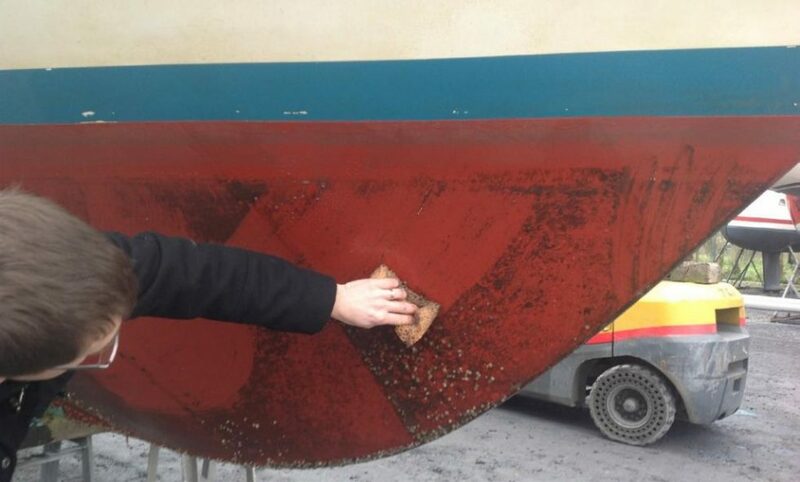 Compared to six to eight months for existing, toxic antifouling agents on the market. This provides a fuel savings estimated to be 5 to 6%. This gives unmatched below the waterline protection of a gel coat. 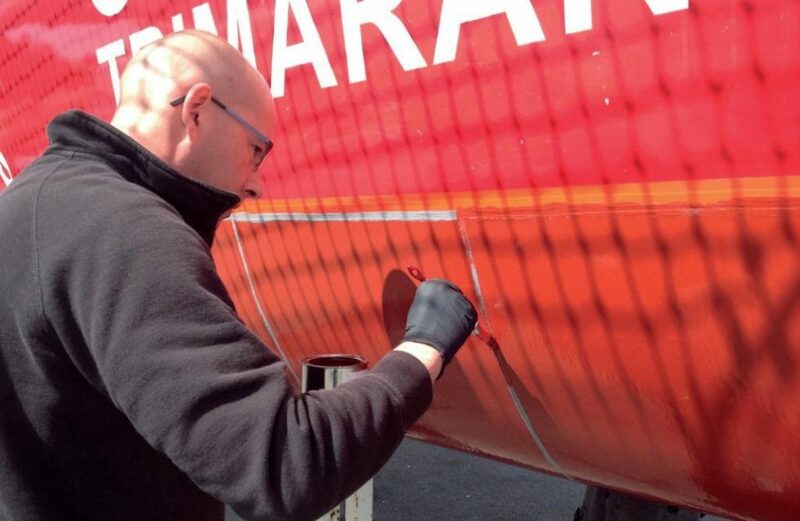 A gelcoat covered with MacGlide will contain less humidity (water) than a gelcoat covered with an anti fouling paint (therefore, less risk of osmosis). 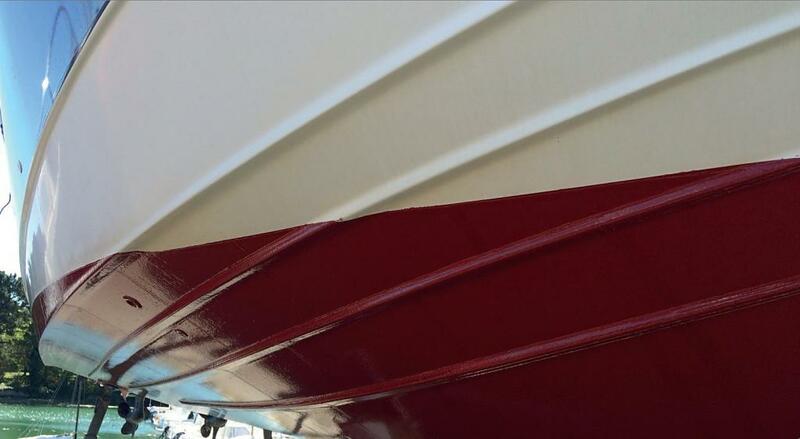 On maintenance costs, spread over the five years of the effectiveness of the antifouling coating: refitting and its costs are minimal.